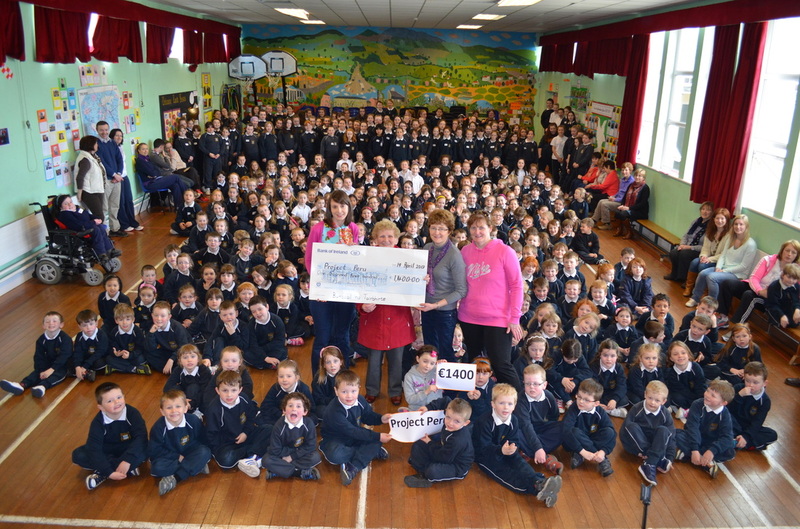 We raised funds in the in our Crazy Hair Day to give to Sr. Regina Toomey who is a Presentation Sister in Peru. These funds go towards housing and water projects in Peru. 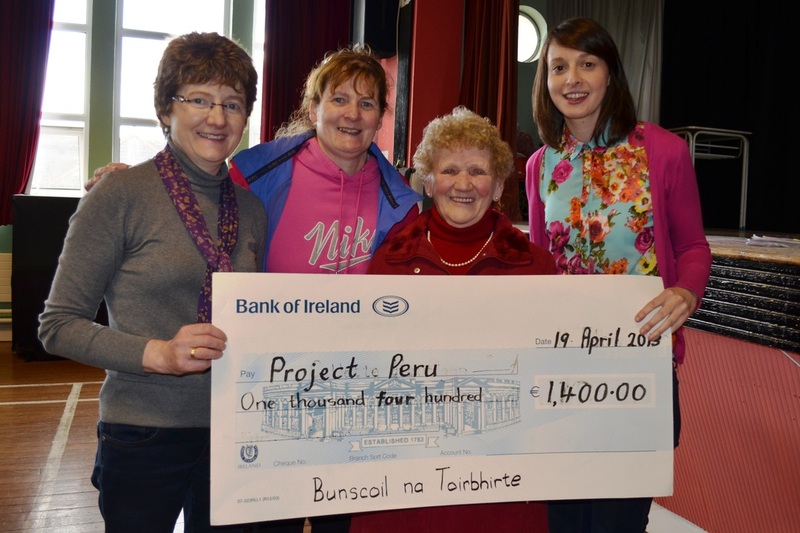 In April, Mrs Toomey (Sr. Regina's mother) accepted a cheque for €1400 on behalf of Sr. Regina. Look at the photos below.